Larry Verbit has over thirty years of combined management and legal experience in the entertainment and media business. Prior to opening his own firm, Mr. Verbit was an attorney with the firm Heenan Blaikie and its successor firms, Berkowitz Black & Zolke and Berkowitz & Black. The firm was affiliated with Heenan Blaikie, Canada, which was one of Canada’s largest law firms. Mr. Verbit has worked on numerous movies and television series shot in Vancouver, Calgary, Winnipeg, Toronto and Montreal and is familiar with and has relationships with many of the Guilds north of the border. He has expertise as production counsel on more than 50 television series, specials, presentations and films. He also worked on numerous transactions involving talent and acquisitions related to radio networks and content libraries for Premiere Radio Networks, Jacor Communications and their subsequent acquirer, Clear Channel Communications. Mr. Verbit’s legal career began in the contracts administration department at Paramount’s Domestic Television division where he reviewed and analyzed contracts for many of Paramount’s syndicated television programs, including Cheers and Star Trek, among others. He moved on to publicly held Westwood One, Inc., a NASDAQ listed company, serving as the number two lawyer for the publicly held corporation, where he advised the vertically integrated media corporation on everything from talent agreements to construction, leases, FCC matters, labor relations, and programming and distribution activities. While at Westwood One, he was involved in its expansion into radio station ownership and worked as part of a team with the company’s investment bankers and outside counsel in both the acquisition and divestiture of various radio and publishing properties. He also served as the corporation’s representative and was instrumental in the establishment of RADIO MAXIMUM, the first Americanized commercial radio station in the Soviet Union, a joint venture including Westwood One, Harris Corporation, StoryFirst Entertainment and Moscow News. Subsequent to his tenure at Westwood One, Mr. Verbit served as General Counsel for Landmark Entertainment Group, a diverse, privately held entertainment company involved in theme park and attraction design and development, live theatre, animated television programming, merchandising, program distribution and various other activities throughout the world. Landmark maintained an active merchandising division which involved monitoring licensee product development and production agreements and the oversight of quality control issues throughout the world. During his tenure at Landmark, he was involved in the sale of 50% of the company to Saudi Prince Awaleed bin Talal bin Abdulaziz, one of the world’s leading investors. Mr. Verbit has written articles published in several law reviews and other publications including Broadcast Law Reporter and Entertainment Law and Finance. He received the prestigious Ladas Award given by the United States Trademark Association for his article on Moral Rights. He is a former chairman of the Intellectual Property and Entertainment Law Section of the Los Angeles County Bar Association and currently serves on the Executive Committee of the Entertainment Law Section of the Beverly Hills Bar Association, as an Advisory Committee Member of The Donald E. Biederman Entertainment and Media Law Institute and as a Trustee of the Los Angeles Copyright Society. Prior to receiving his law degree at Southwestern University School of Law, Mr. Verbit earned a Master of Fine Arts degree in Arts and Theatre Administration from Florida State University. 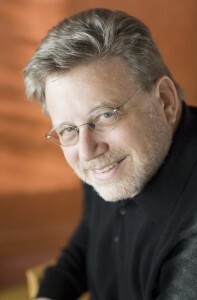 He has worked as a professional stage manager and served as the chief administrative officer of several nationally recognized performing arts centers and theatre companies where he produced concerts and plays, including Washington, DC’s Folger Shakespeare Theatre, predecessor to The Shakespeare Theatre, The Strand-Capitol Performing Arts Center where he served as the first Executive Director, and The North Shore Music Theatre, north of Boston. While in Washington, DC, he was a founding member of the Cultural Alliance of Greater Washington. Mr. Verbit earned his Bachelor of Fine Arts degree in Theatre with a concentration in Directing from Virginia Commonwealth University.